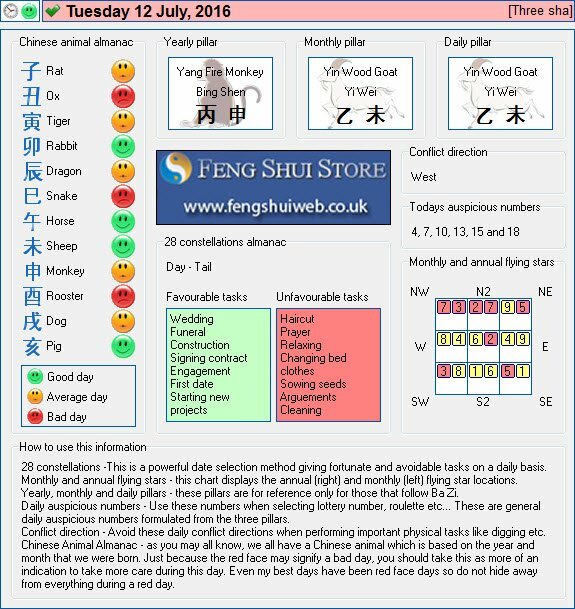 Here is the Free Feng Shui Tong Shu Almanac for Tuesday 12th July 2016. Wednesday 20th July is a good date for this. Pls advise the auspicious date for register a new car & collection of car. Thank u.